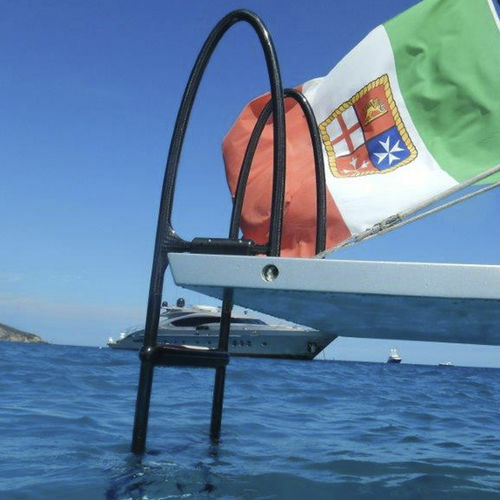 Giotto is a light, fully customizable carbon fibre swimming ladder with removable handles. The ladder received the Special Mention on DAME Award Design. 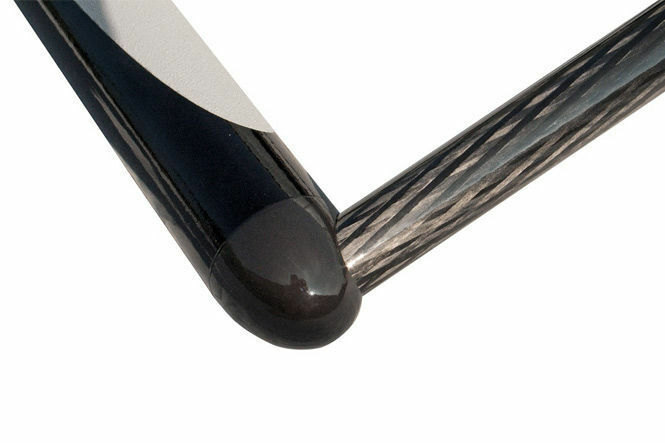 Special Focus has been given to the Design of the two big grips (70 cm tall). They are easily reached both from your deck and while hanging on your ladder. 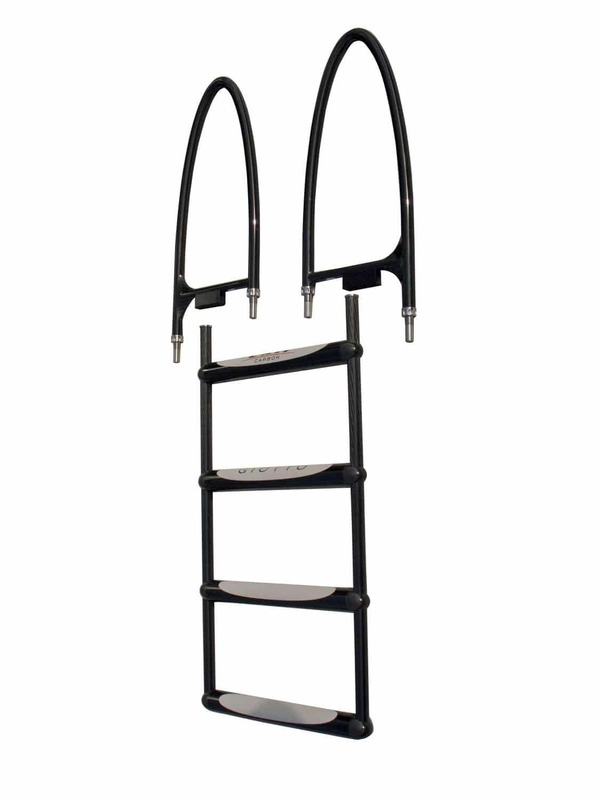 Exit Carbon offers you almost any ladder size. Long ladders are provided with the special adjustable V Hull spacer to stabilize their use. 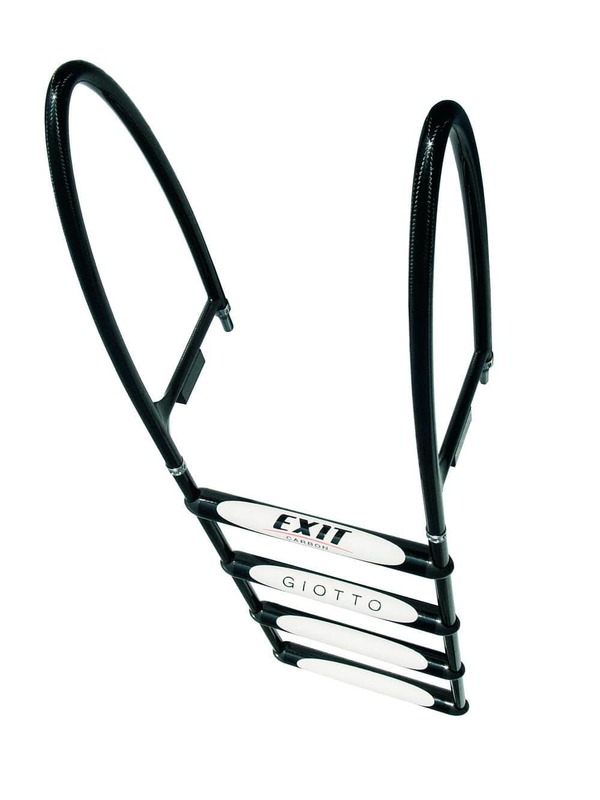 Normally longer Giotto are ladders in 2 parts, 3 parts comprising the top handles. This allow an easier stowage. All fitting positions are adjustable, as well as the distance between steps, the distance between the top step and the deck, and of course the width of the ladder. Moreover, for all yachts with an agled deck pad not compatible with usual ladders we propose a Side Wall Dalì model with handles to be fitted alone on the deck. epoxy resin pre-impregnated carbon fibre fabrics cured at high pressure and temperature in an autoclave. against salt, humidity, and corrosion.